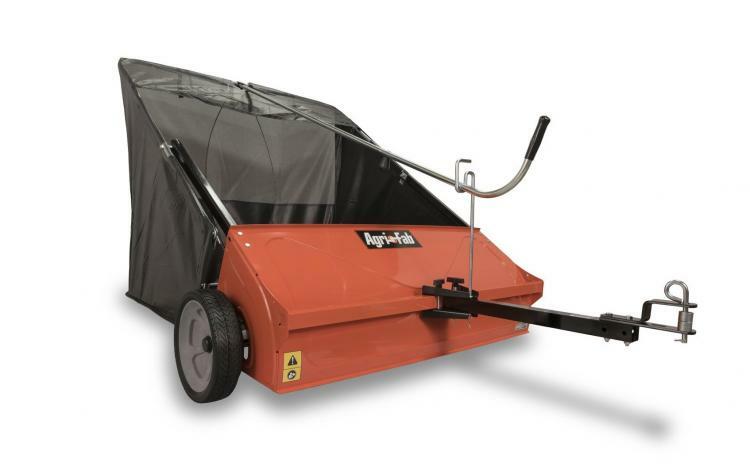 If you're like me, you love raking leaves, and that's why every year you wait so long to do it, the snow comes, and then you have to wait until Spring to rake, and by then your entire yard of grass is dead. Luckily this genius yard sweeper tool is here, and it's perfect for the elderly who can't quite rake easily anymore, or the young lazy people who just don't want to rake. 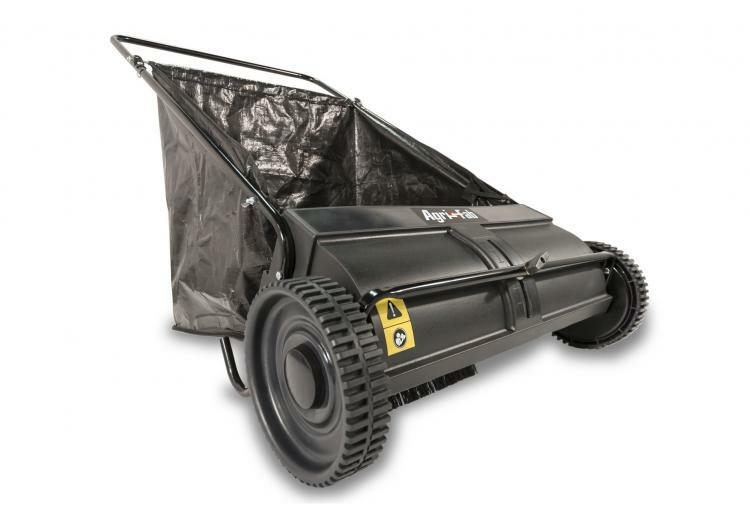 How it works, is you simply push the yard sweeper over grass and like a lawn mower, and it'll automatically pick up and push the leaves into the bin. 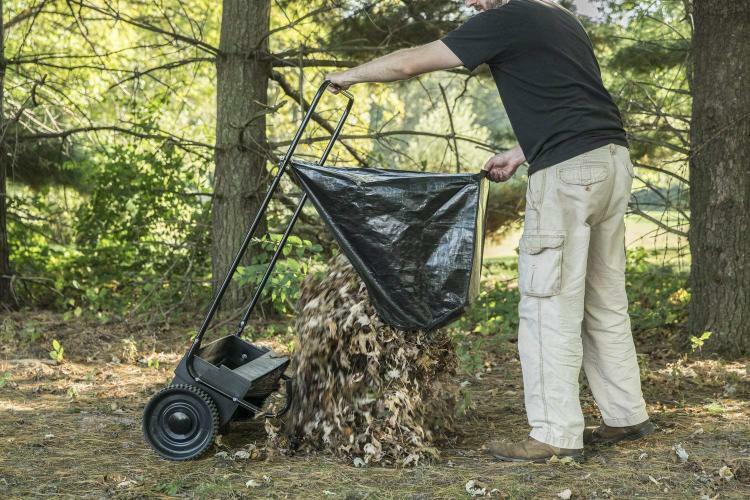 Once full you can easily dump all the leaves into a bag or garbage bin. 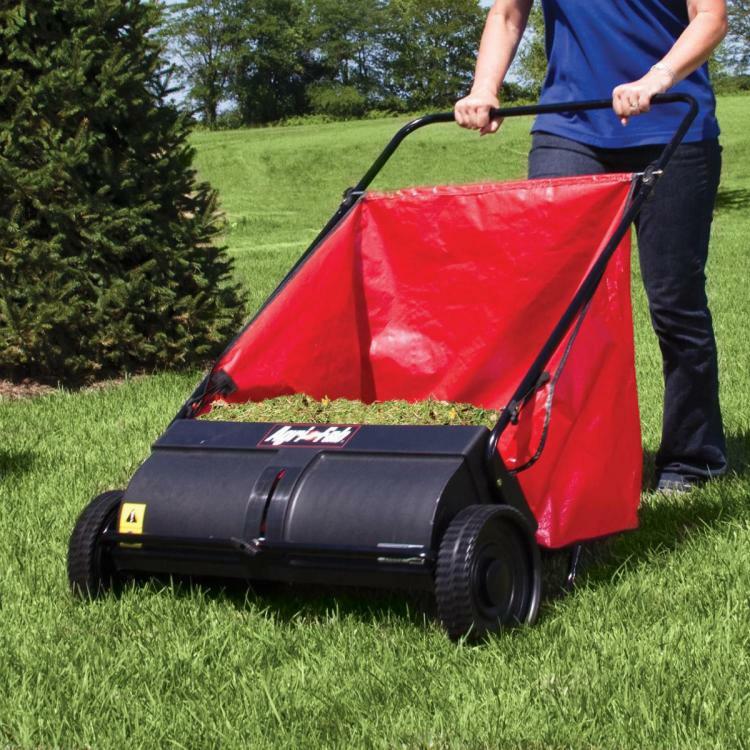 Then just repeat for your entire yard. 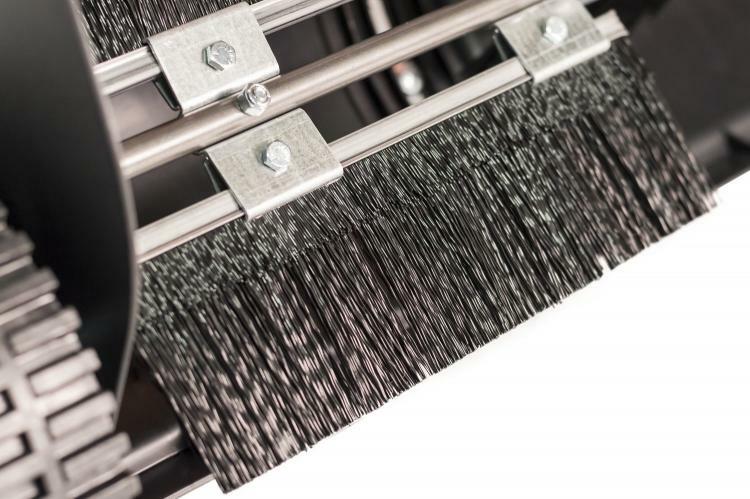 No more raking! 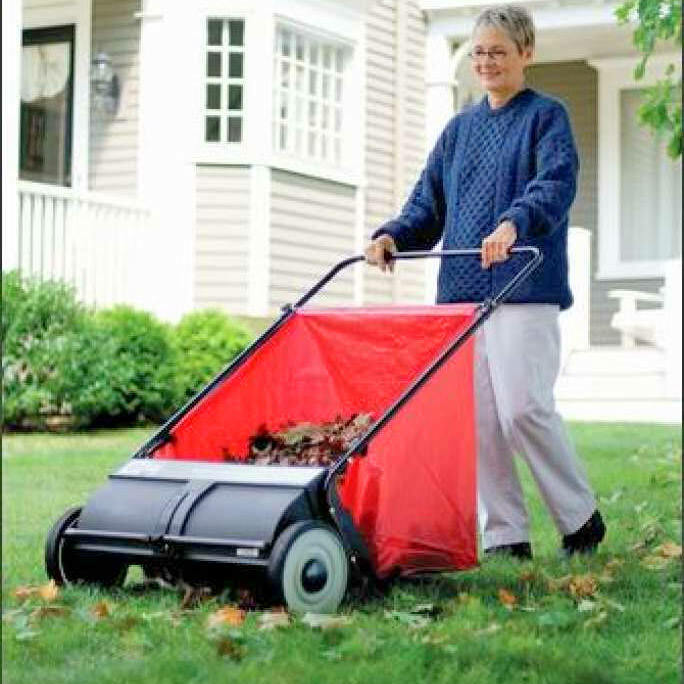 The manual push leaf sweeper has an adjustable height depending on what you're push it over and and how many leaves you have stacked on your lawn, and even works great for other kind of lawn debris like excess lawn clippings, fallen twigs, and more. 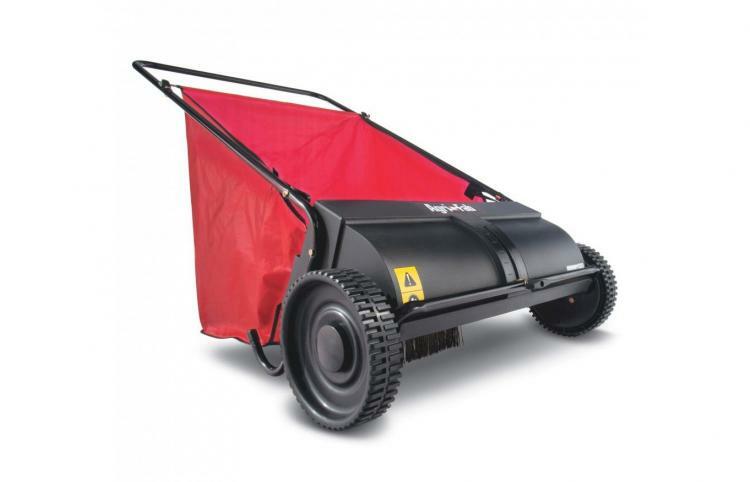 The Agri-Fab push lawn sweeper is super lightweight and easy to push across your lawn, is made from a durable poly construction, and is suitable for areas that measure up to 2000 square meters. 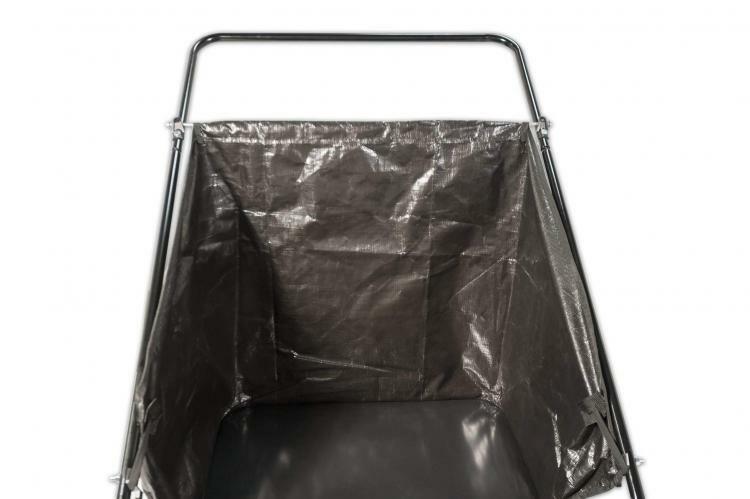 The connected bag bin also easily disconnects from the sweeper to empty it quickly and get back to picking up those leaves! Feeling extra lazy? 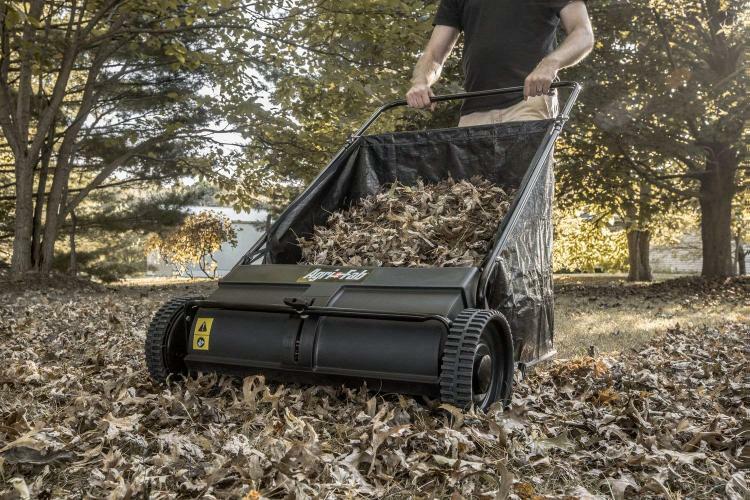 There's even a version of the yard sweeper that connects to a riding lawn-mower, so you can simply attach it the back of the mower, and drag it behind you while it picks up all the leaves you run over! 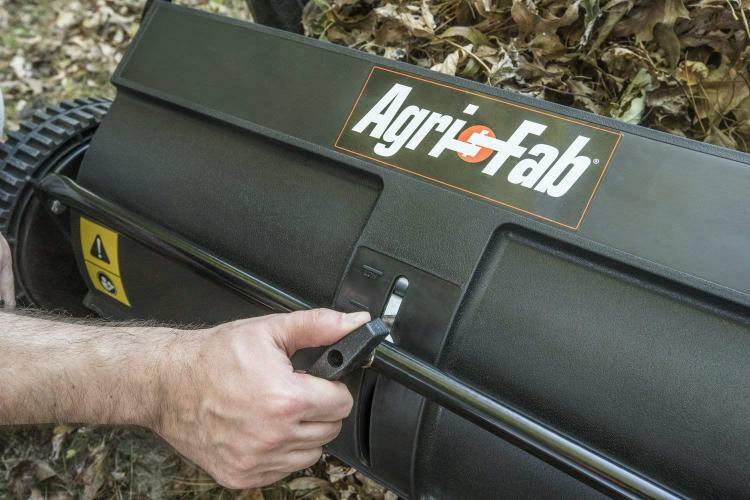 Check out the Agri-fab manual push yard sweeper that easily picks up all your dead leaves in the Fall in action via the video below.